McLuhan pointed to the light bulb as an example. A light bulb does not have content in the way that a newspaper has articles or a television has programs, but it is a medium that has a social effect. The light bulb lets people do things at nighttime which would be impossible in darkness. He describes the light bulb as a medium without any content. McLuhan states that "a light bulb creates an environment by its mere presence". He then goes on to compare the effects of radio, television and film (movis). The Medium is the Massage: an inventory of effects (1967) was a spin-off from his previous book. It was compiled by Quentin Fiore from writings of McLuhan with many photos and graphics selected by the compiler. The text is based on published McLuhan works, but the sources are not listed. It was a huge best-seller. "eventually selling nearly a million copies worldwide". 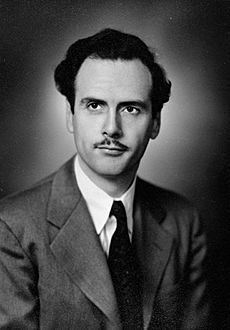 Marshall McLuhan Facts for Kids. Kiddle Encyclopedia.